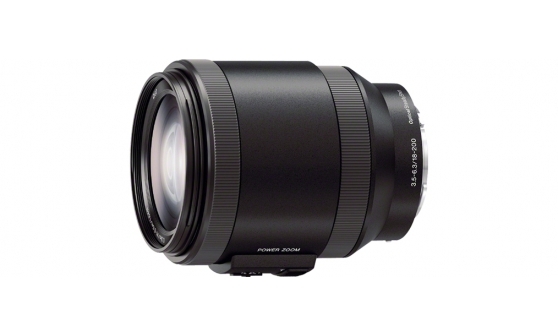 Smooth, consistent powered zoom over a wide 11x zoom range make this lens an excellent choice for movie-making as well as stills. Powered zoom enables fluid, professional looking zooms that can be difficult to achieve manually, and stepped variable speed zoom capability is included. An internal drive motor ensures quiet autofocus and aperture operation that are also essential for movie shooting. Built-in Optical SteadyShot™ image stabilisation helps to keep your subjects sharp at all focal lengths, even when shooting handheld. The powered zoom enhances creative possibilities, enabling you to achieve smooth, controlled zoom effects that are difficult to achieve manually. Even the smallest details become sharp and clear using an 18-200mm telephoto zoom lens with 11x magnification.